A cloud contact center offers many if not all of the same tools, features, and capabilities that the traditional contact center has become accustomed to. In truth, the main difference between what we would call a “cloud contact center” and a traditional one is mostly a concern for the IT department. It refers to whether the contact center software is housed in a data center in the office or elsewhere in the public cloud. 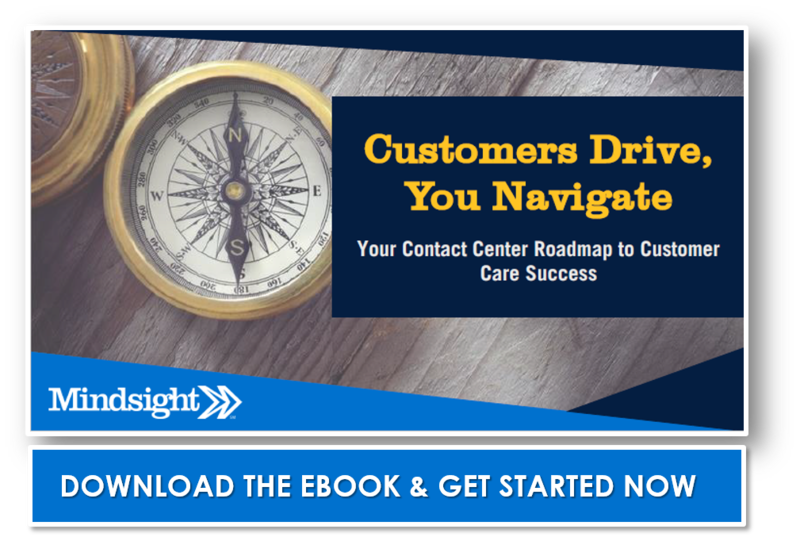 Though that distinction may not seem important to a contact center manager, it can actually have a number of real world benefits for your contact center team. By merely changing the deployment model of your contact center software, you can access a whole new set of advantages. Whenever a new technology is deployed in an on-prem data center (meaning a data center located on the premises), there are certain roadblocks to overcome. The IT team must provision compute and storage resources, install the application, apply necessary configurations, and test the new technology. This process can take weeks or months to accomplish. Meanwhile, the contact center can only wait around until the new technology is ready. The cloud circumvents many of these delays, because companies are offering the cloud contact center applications as a service instead of an out-of-the-box solution. In most cases, the application is ready to go. The contact center just needs to access it. Resources are provisioned with just a few clicks, and there’s no new hardware to purchase and install. A cloud contact center cuts deployment time down to hours or days. With an on-prem contact center, scalability can be a challenge. Should the contact center rapidly expand and outgrow its resource allotment, scaling up your contact center involves a similar process as deploying it in the first place. New resources must be provisioned and new configurations must be made. In the cloud, resources are ready and waiting at a moment’s notice. The cloud provided has constructed a massive data center or network of data centers, and they are selling access to their IT hardware. This means that if your contact center needs more IT resources, the cloud provider has more than you could ever need. Simply by purchasing new licenses online, a cloud contact center can scale up or scale down to the precise size you need for your operation. Remote agents have proven exceptionally valuable in modern contact centers. Establishing a remote agent program offers the opportunity to expand your hiring range to the entire country or even globally instead of merely looking for candidates within the small area around your office. The problem with remote agents is a technical one. It can be difficult to properly connect remote agents to the centralized contact center application without deploying a VPN or similar networking tool. The cloud contact center offers a simpler option. Because these applications are often provided as a service, agents can connect to the platform, wherever they may be, using only a standard internet connection. Without a staffed and functional contact center, the business has few ways to connect to their customers in a timely manner. If a disaster were to strike that leaves your data center damaged or unavailable, it could be weeks before the contact center is up and running again. When a contact center is in the cloud, it is an entirely different dynamic. Should the worst happen and render the office unusable for a time, the agents can still access the contact center platform. When paired with remote agent capabilities, the contact center can operate as normal. While a cloud contact center will certainly be beneficial in the unlikely event of a tornado, hurricane, or earthquake damaging the office, it also helps with more mundane, temporary disasters. Next time there is a snowstorm and the roads are treacherous or blocked off, the contact center will be unaffected. Instead of calling off of work, the agents can simply stay home and work remotely. Instead of large, up-front capital investments, most cloud contact center solutions are sold on a subscription model. The contact center can access a full-feature platform for a modest and predictable monthly fee. When a traditional contact center platform receives an upgrade, the IT department needs to implement that upgrade on their end. For cloud applications, it works a little differently. The application is still owned by the provider, and the customer simply accesses it. Therefore, every time the cloud platforms are upgraded, the upgrades are available to all customers immediately. Each time you log onto your cloud contact center software, it will be the most up-to-date version. A cloud provider’s business begins and ends with its data center. It is their most precious resource that must be protected at all costs. In most cases, they spare no expense for data security, physical security, and redundancy. Check out our interview with Server Central, a colocation provider in Elk Grove, Illinois, to get a sense of the lengths organizations like this will go to protect their client data. A cloud-based contact center may not be the best choice for every organization under the sun, but it isn’t a boutique or luxury strategy either. Many businesses will find the cloud to be a viable, and even superior, choice for their contact center. It largely depends on the unique factors of the business in question. The cloud is the right fit for the right contact center. Yet, it should warrant our attention regardless. Many of the major contact center software developers are releasing their own cloud-based solutions, so the deployment model is gaining widespread appeal. Keep an eye on these solution in the years to come.